So, we are on day five of the challenge and I have a stunner for you. This is China Glaze's Frostbite. 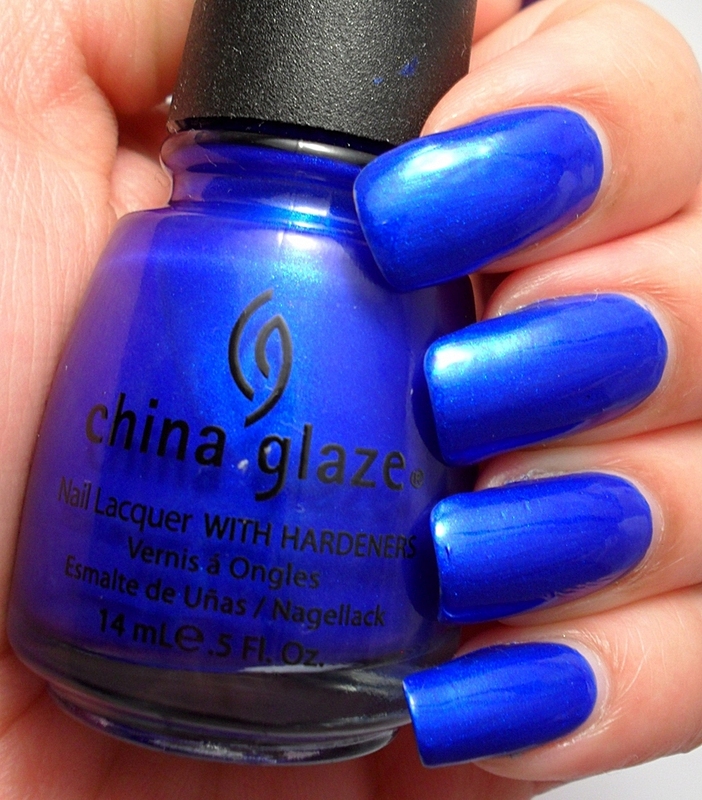 This is one of the first China Glaze purchases I made for myself last year. 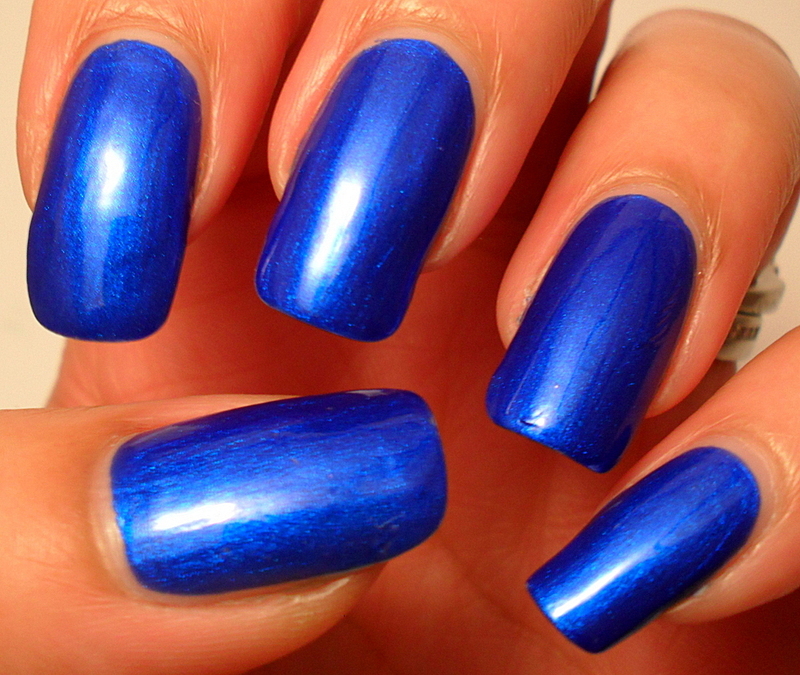 The formula is lovely, and it took just two coats to get full coverage...I used three out of pure habit. 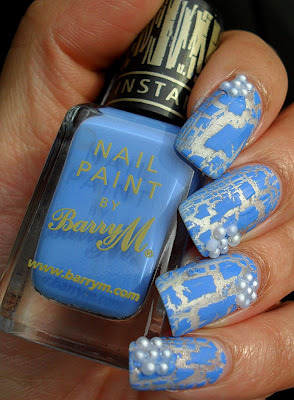 Unfortunately, it didn't last that long because I found a blue shatter polish by Barry M whilst tidying my helmer the other day. Here is the switch-a-roo. The base was a nice pearl with a sprinkling of glitter particles (it was an old polish and it didn't have a label). The pearls were from Bornprettystore and were a part of a mini-haul that I got last weekend. I'll show you that another time though. 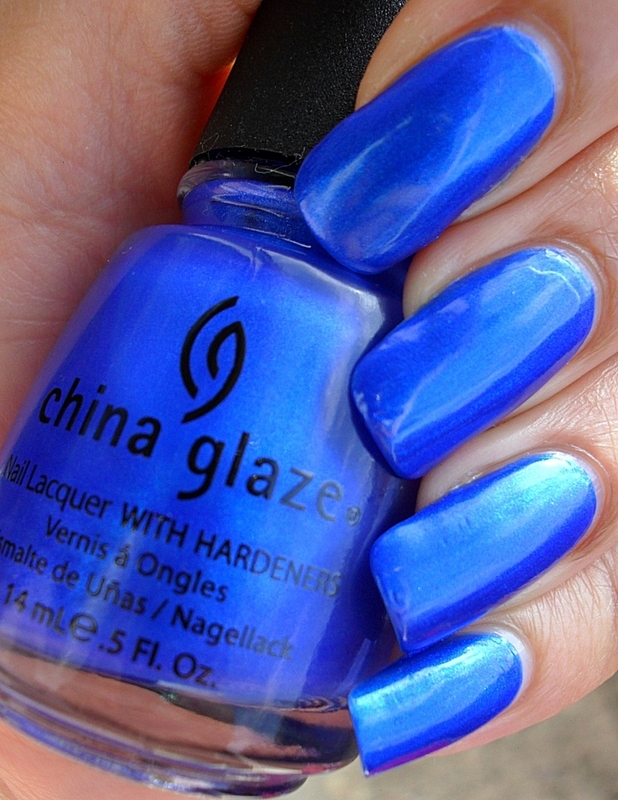 Which blues are your favourites? OMG! both blue colors looks amazing!! BTW, I was in the store yesterday and looked for the name of Yellow Peripera and it's called "Secret Yellow". My favorite day of this challenge!!! my fav color blue! 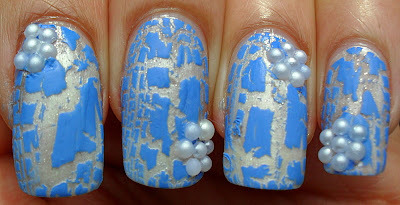 absolutely love the crackle main with the pearls sooo pretty!!!! !